Skiing in Belarus is now one of the most popular leisure activities for both younger and older generations. Despite the fact that there are no high mountains in Belarus, there is a large number of high hills on the territory of the country, which are widely used for skiing, snowboarding, and sledging. Ski resorts in Belarus are perfect for both beginners and active sports enthusiasts. This is facilitated by several factors. Firstly, favorable climate. The winter is mild, and there is no danger of avalanches. Secondly, the slopes used for downhill skiing are small and safe, and the ski trails are equipped at the highest level. Close to the slopes, there are good-quality hotels and skiing equipment rentals. See our list of the best places to go skiing in Belarus. One of the most popular places to go skiing in Belarus is the Silichi Ski Resort located just 32 km away from Minsk. The ski centre has a modern infrastructure and is ready to satisfy the wishes of both ordinary visitors and extremals. On the territory of the resort, there are ski slopes of any level of complexity (for downhill and cross-country skiing), tubing, ice skating, sledding slopes, hoists, snowmobiles. You can also get training in ski school and rent equipment. And it all is much cheaper than in most of the European ski resorts. So you can try snowboarding or skiing in Belarus for the first time without risking a lot of money. And at night, you can sleep in a hotel, visit restaurants, saunas, and spas. Silichi Ski Resort is open all year round, so you can enjoy it in any weather. Carting, badminton, tennis, basketball, volleyball, bicycles, rollers, mini soccer, quads, paintball, billiards, and darts. And, that's not the whole list of activities you can do in Silichi Ski Resort. You can also enjoy fishing, have a picnic in the gazebo or cook the skewers on the grill. Another major ski resort near Minsk is "Logoisk". This Center provides ski school services, a good modern slope, all equipment of the Center corresponds to the European standards, and the complex is open all year round. The Centre will satisfy both large corporate clients and families with children, offering entertainment such as tennis, billiards, shooting, climbing wall, summer tubing, rope town, paintball, volleyball, and others. It is one of the favourite places to go skiing in Belarus among locals. 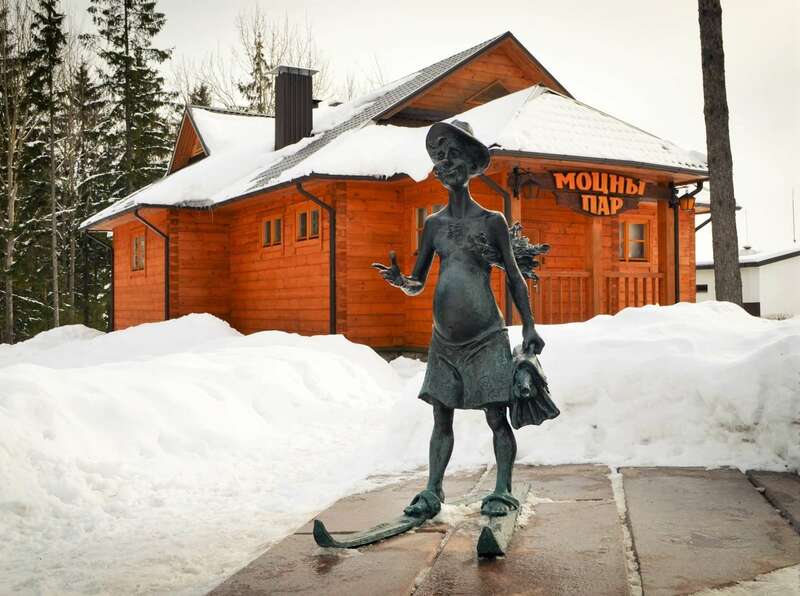 Raubichy Ski Resort is about 20 kilometers away from Minsk in the immediate vicinity of the Minsk-Vitebsk road. The name of the complex, "Raubichy", is inherited from the nearby village. The territory, where the sports complex is situated, is often referred to as "Belarusian Switzerland" because it lies amidst the unique and inimitable nature. It is not only picturesque hills, but also clear waters of the Usiazha River, and the blue mirror of Raubichy reservoir that were left by glaciers. There is the Krestogorskaya Chapel that crowns one of the most picturesque hills. Now, it is a museum of folk arts and a concert hall. 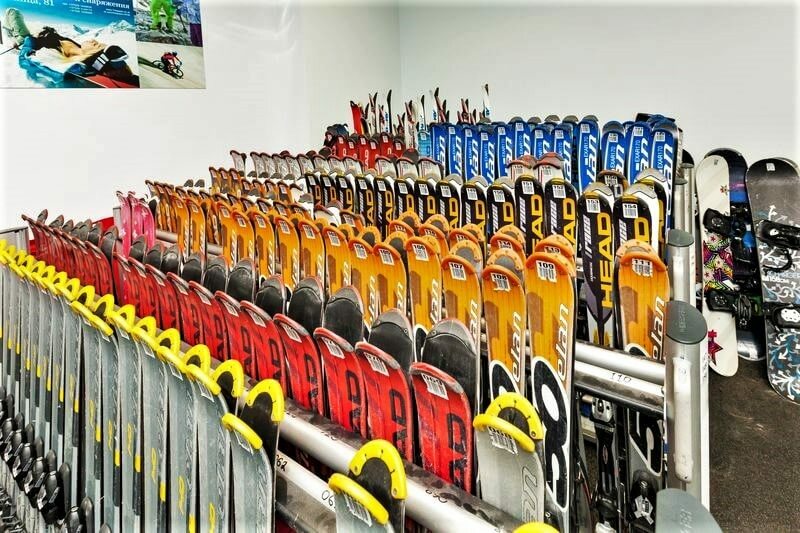 Not only athletes train in the Raubichy Center, but also lovers of skiing in Belarus. Raubichi is a favorite training destination of biathletes and freestylers from all over Europe. There are also three ski slopes here (with a height of 20, 40 and 60 meters). Solnechnaya Dolina (Sunny Valley) Training Center is ready to welcome guests, who do not wish to leave the city walls. On its territory, you can go skating, skiing, snowboarding, and tubing. In the Center, there is a training slope (125 meters), and the main slope (215 meters). At this ski resort, you can always ask the experienced instructors for help. In the park, there are three ski slopes for tubings. And the pillow + bun attraction is the highlight of the complex. In that ski resort, you can also master riding a snowmobile and ATV on tracks specially created for this purpose. 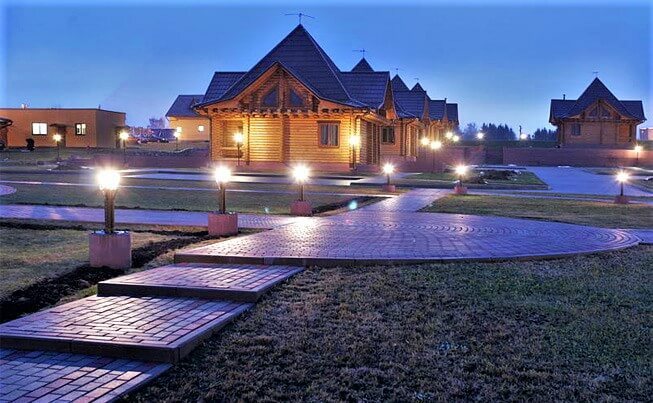 Corporate clients of Yakut Mountains Park have all conditions for pleasant rest with your colleagues and friends. You can both comfortably celebrate birthdays with a big company or team, and hold banquets, create or improve team interoperability (team building), do some sports. 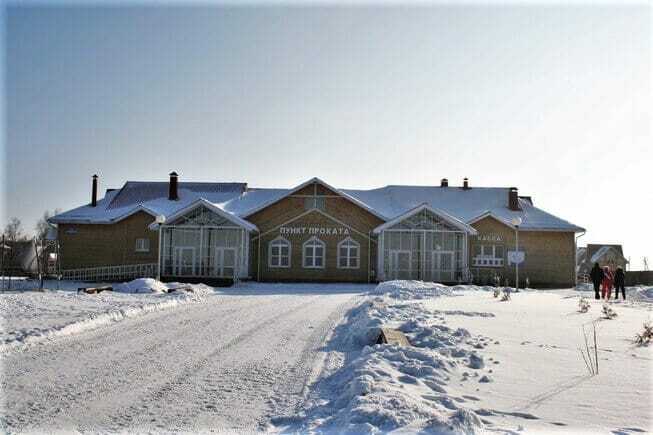 The ski center is located 15 km away from Vitebsk in the Ruba village. It can be reached from the central station by city bus. The Center is equipped with four ski slopes ranging from 180 to 300 meters, and a height difference of 35-45 meters, 2 rope tows work. The natural terrain with some additional artificial hills was used to create the slopes. 3 trails of varying degrees of complexity are located in a picturesque place on the bank of the Western Dvina River. The presence of illumination allows organizing evening skiing. There is a youth sports school in alpine skiing and freestyle working here, competitions are regularly held at various levels. The center is equipped with a dressing room and a ski rental service. The Mozyr Sports Complex is situated in Mozyr, Gomel region, and combines a variety of activities, ranging from an exciting attraction "Toboggan Alpine-Coaster", which is unique in Belarus, ski slopes, and a skating rink.